From a portraits installation, shot in collaboration with Angela Camacho - @thebonitachola. She invited me to create a space to celebrate all Latinas and Latinxs during the 'Mujeres y Rebeldía' event from Movimiento Jaguar Despierto in London. The days activities, and our installation served as a reminder of our everyday fight against patriarchy. 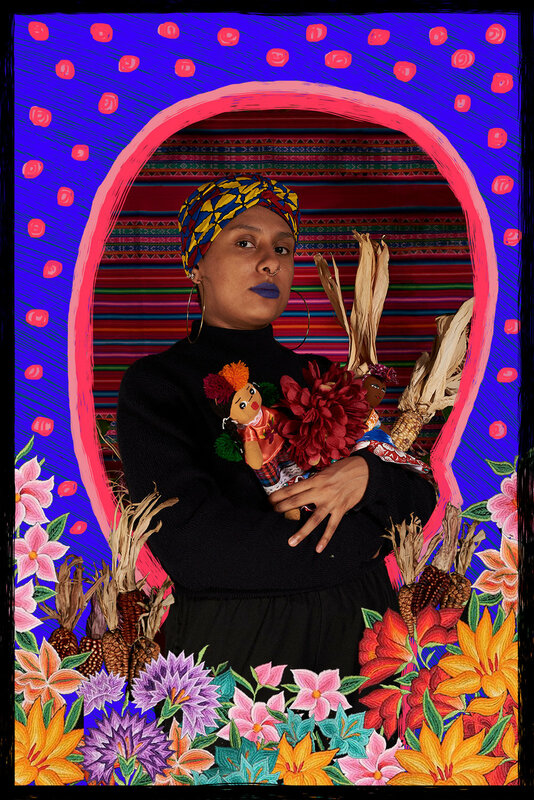 We celebrated LatinAmerican women-hood, identity and our connection to pre-colonial traditions, corn being a very important one for us to reclaim.